We are counted amongst reckoned names in the industry, committed towards manufacturing a wide gamut of Auto Shell Core Shooter. 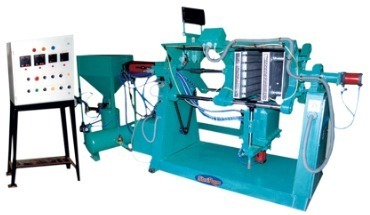 Incorporated in the year 2012 at Faridabad (Haryana, India), we “Innovation Casting Technology” are a Partnership firm betrothed in manufacturing a comprehensive assortment of Gravity Die Casting Machine, Sand Mixer Machine, Leak Test Machine, Pedestal Grinder, Automotive Differential Gears, etc. These products are highly acclaimed for features such as excellent strength, sturdiness, easy installation and dimensional accuracy. Under the able guidance of “Mr. Jitendra Kumar” (Partner), we have been able to cater varied needs of clients in an efficient manner.We are also providing VMC Machine Job Work And CNC Machine Job Work.